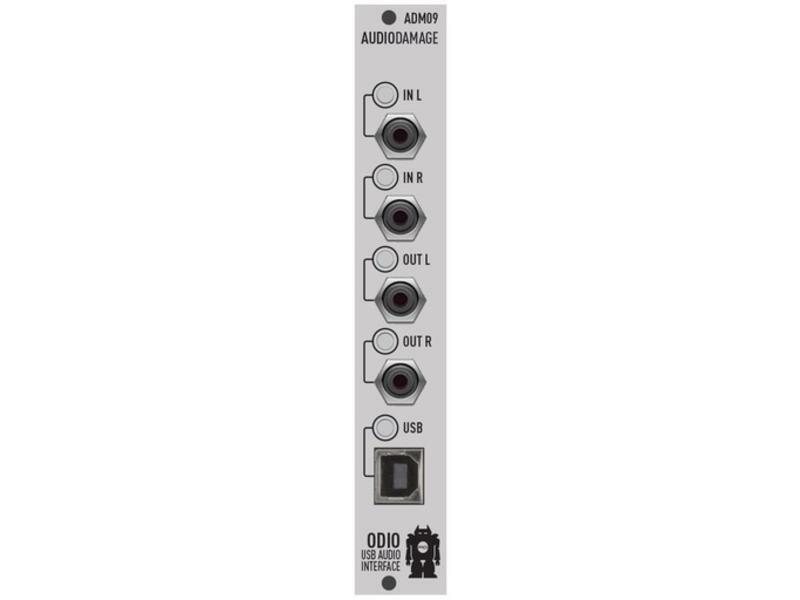 Odio is a 2-in 2-out USB audio interface that runs at modular audio levels, designed primarily for use with iOS devices such as the iPad and iPhone. Easily integrate iPad effects and instruments in to your modular rig for live performance or sketchpad recording, or use a Microsoft Surface Pro or netbook and a simple host to use VST plug-in effects as inserts in your modular. As a class-compliant USB audio device, it will work fine with most any computer running Windows, OS X, or Linux. Integrate a laptop in to your live rig, or use it as an output pair for Silent Way or Volta. Odio is an easy solution to computer, phone, and tablet integration, designed with the modular synthesizer environment in mind.